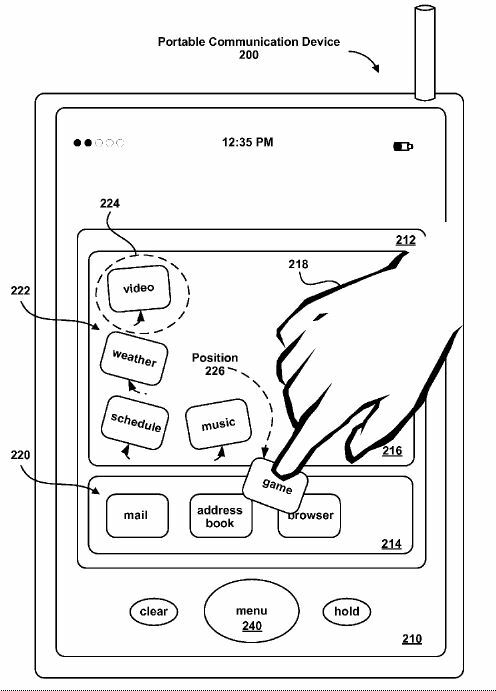 The Federal Circuit recently vacated a Patent Trial and Appeals Board (PTAB) decision that found obvious several claims of a patent application relating to methods for re-configuring icons on a touch-sensitive display. In In re Van Os (Fed. Cir. Jan. 3, 2017), the court’s decision focused on the PTAB’s failure to provide sufficient reasoning for the rejection, rather than the question of whether or not the claims were in fact obvious. The claims related to a user interface for a touch-sensitive display that would enter a “reconfiguration mode” after it detected a sequence of two touches that had different durations in particular locations of the display. The Examiner and the Board both found the claims to be obvious in view of two prior art patents. Here, neither the Board nor the examiner provided any reasoning or analysis to support finding a motivation to add Gillespie’s disclosure to Hawkins beyond stating it would have been an “intuitive way” to initiate Hawkins’ editing mode. The Board did not explain why modifying Hawkins with the specific disclosure in Gillespie would have been “intuitive” or otherwise identify a motivation to combine. Because the Board and the Examiner failed to meet their burden, the court directed the USPTO to allow the claims and grant the patent. This entry was posted in Patents and tagged In re Van Os, Obviousness, sufficient reasoning. Bookmark the permalink.